Once upon a time, Molalla used to be a wrestling haven. If you talk to athletes or spectators from those golden years, meets between Molalla and its league foes were the event to be at. Just ask Molalla's assistant wrestling coach Nick Grieve who wrestled for the now 4A school from 1995 until he graduated in 1999. "We wrestled every team in our league one on one," Grieve said, "and it was a big night and everyone came out and we had the bleachers full." Over the years though, the fanfare and audiences dwindled and with it the team. As little as five years ago Molalla's wrestling squad had as few as five or six athletes to its name. Around that time, enter now Molalla head coach Nathan Smyth. Smyth entered program to help bring it back to the success that it had experienced in the past. "It is pretty cool because when I took over the program I had six wrestlers," coach Smyth said. "In my fifth season, I have four that are ranked very high in the state. That really helps the wrestling room as a whole. We've got 22 kids on the roster. We're still pushing to try and grow the program." The turnaround is something to behold. As was mentioned, four of Molalla's wrestlers are ranked in the top 12 of the state. Junior Maximus Tate is ranked No. 2 in the 126-pound weight class; 160-pounder senior Emmett Smyth is ranked third; senior Dustin Asher sits comfortably at fifth in the 106-pound weight class; and junior Bo Edwards is ranked 12th at 182-pounds. It's a strong showing for a squad that currently sits at second in its special district behind Tillamook, and one that coach Smyth is pleased with. "I think we expected to see these guys at that level," Smyth said. "They're at where we thought they should be, and they keep climbing." The growth in the squad's numbers can be attributed to a few different factors, according to Smyth and Grieve. Among those factors are success, camaraderie in the wrestling room, and a sense of accomplishment. "I think they're starting to see a team that is winning and winning more frequently than not," Smyth said about more kids coming out for the sport. "They do, they want to be a part of that. We just got back from four days in Redmond, we wrestled the night before in Prineville, we wrestled two days at the Coast Classic, and we hang out and support the freshmen that wrestled in the Open on Sunday. When we do those types of things, there's a lot of team bonding that takes place. The kids that usually don't talk are talking when there's no parents around or anything. I think it's everything about the program." "I think it's Nathan's attitude that's gotten kids to the mat," Grieve said. "'Wrestling is going to be one of the hardest things you'll do in your life,' and challenging the kids. After this, nothing else is comparable. It's challenging the kids, and getting them excited about the workouts. They feel stronger afterwards. We make sure to point out that the workouts will be beneficial to every other sport they play as well." Emphasizing the difficulty of the sport is something both coaches made a point to do. The training and activities that are a part of the preparation for a season of competition are intense, and push the athletes to their limits. Going through "hell week" with one another helps cement that sense of a team and a family. At least, that's according to Asher, the highly ranked 106-pounder. "I think the competitive aspect kept me there," Asher said. "With wrestling, the team supports you more as a brother than as an actual teammate. I really liked that connection with the team." All four of Molalla's ranked wrestlers came for different reasons. For Asher, it was an alternative after an injury forced him from playing hockey as a child. For junior Bo Edwards, it was about preparing himself for his true passion, football. "Wrestling isn't my no. 1 passion, football definitely comes first," Edwards said. "I only wrestle to improve myself physically for football. So to be ranked No. 12 in the state wasn't my prediction for the season." 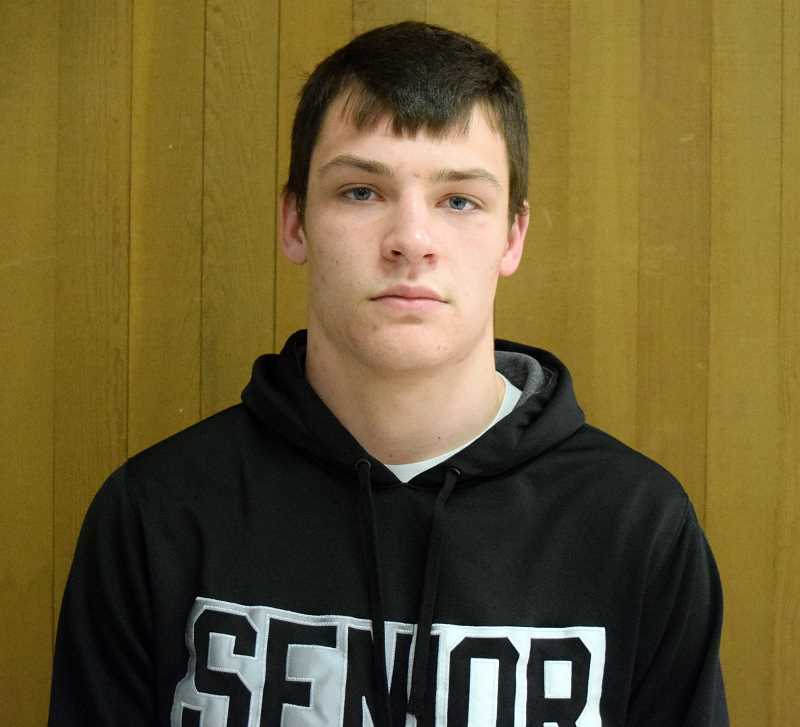 Edwards, the 12th ranked 182-pound 4A wrestler in the state, has also had to battle through injuries to get to where he is. Last year he had to overcome a concussion and broken vertebras suffered in a football game to wrestle for the school. 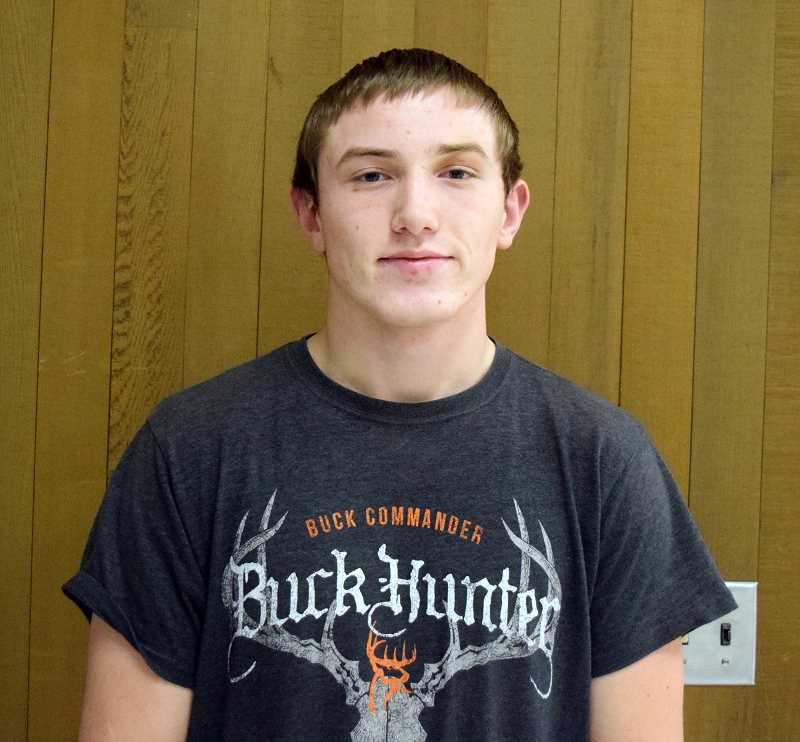 This year, without injuries, he expects to do well enough to see him and his teammates wrestle in the state meet. "I expect myself to finish healthy, strong, and uninjured," Edwards said. "For the rest of the team, I expect as many guys to make it to state as possible, and everybody trying their best and just wrestling. Hopefully I'll at least get a shot at state. But I'm not getting too confident but that's where I want to end up." Asher, like every other wrestler on the team, stuck with the sport because it fulfills a fiery competitiveness inside of him. "I'm a really competitive kid, and wrestling is definitely a competitive sport, and that's what kept me there," Asher said. The 106-pounder has racked up a 16-2 over strong competition, and has his eyes set on winning state. For junior Maximus Tate, the success he's experiencing this year is all a part of the plan. The 20-2 record he's run up is just proof that this year is his year to claim the gold. After taking third last year, Tate feels that this is his year to finally realize a dream he's had since the fourth grade. "In fourth grade, there's a poster that they would hand out in mat club, and it was my goal to end up on the poster," Tate said. "It had all the state champions from every division in every weight class, and it was my goal to end up on that poster." 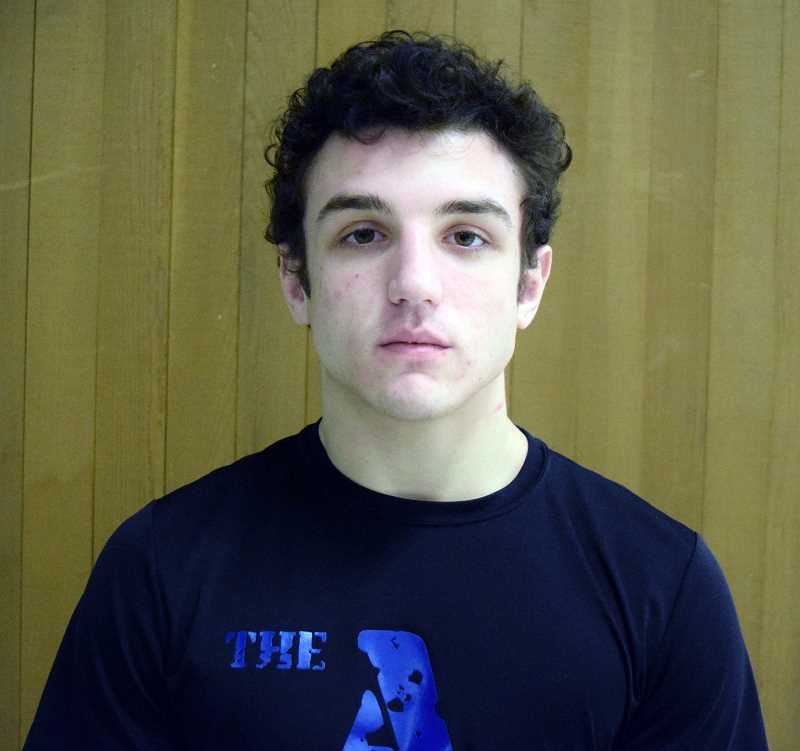 And finally there's senior Emmett Smyth, the third ranked wrestler at 160-pounds. Son of coach Nathan Smyth, Emmett has been wrestling for 13 years and knows it's his last chance to make a run for the title of state champion. "I'm planning on winning state right now," Smyth said. "I haven't gone the last three years, and I figure I have to make up for it by winning it." Emmett Smyth, like his teammates, takes a very workmanlike approach to the sport. While they were mostly aware of their rankings in the state, they did not pay them too much attention. There was a practice to get to, a meet to prepare for. They were planning on being successful, not resting on their laurels. It's the hard work the team has put in that will lead to what coach Smyth believes will be a strong showing at state from a still growing team. The consensus among coaches and wrestlers is that it isn't unrealistic to expect five or six Molalla athletes to reach the state meet. 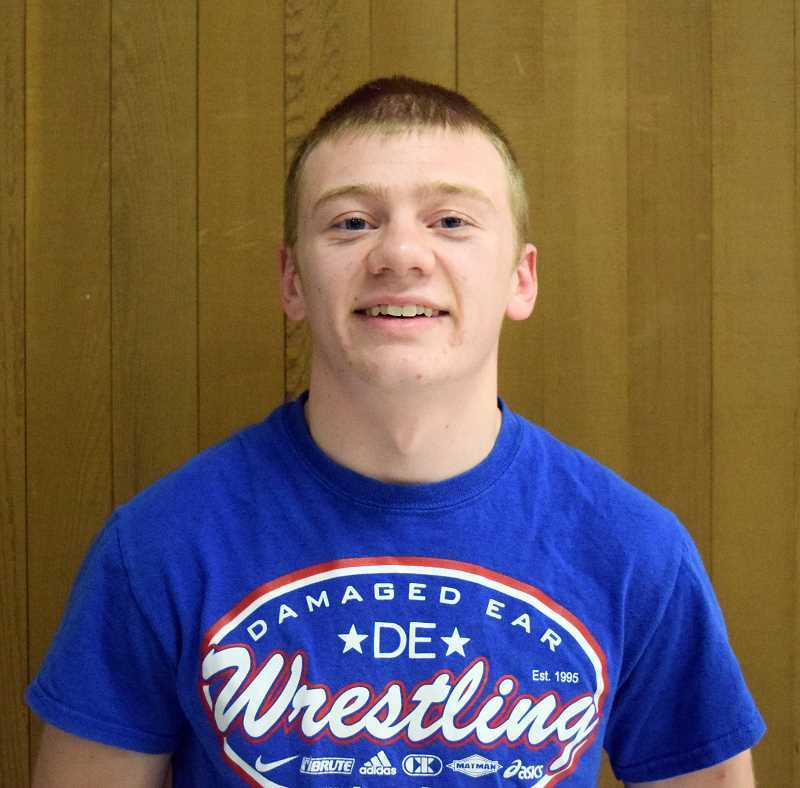 "I think we could have a state qualifier at 106, 120, 126, potentially at 132, potentially at 145, definitely for 160, 170 potentially, and we should see Bo at 182," coach Smyth said. "I think we can do that. You have to place at the top four, and we're seeing some third and fourth place finishes out of those kids, so the potential is definitely there. It would be great to see five or six kids to state. That would be a highlight." It's that expectation of success that's helping to rebuild the once vaunted Molalla wrestling program. In it's most recent pair of duals, Molalla fell to Tillamook 71-12, but beat Banks 46-36 on Wednesday, Jan. 23. There is still bite in this team, and they intend to continue their path back towards greatness. Rankings and record according to The Oregon Wrestling Forum.